Extremely warm hosts, clean facility, feel like home! It was an amazing place. 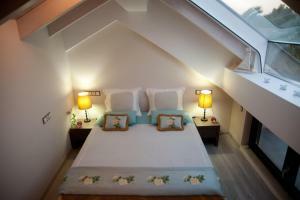 Small apartment hotel with 4 apartments, newly decorated and fully equipped with everything you can think of. The owners, Christina and her two sons, are incredibly generous and make everything they can to make your stay pleasant. On the nice beach just in front of the hotel (with sun ambrellas and beach chairs) you also have at your disposable a canoe, and a sap, and they even took us on a ride with their see scooter. One of the nicest places we stayed at. Beautiful apartment in a picture perfect setting. The kitchen was well stocked with everything you may need, including delicious home made cakes and biscuits on arrival, with drinks and other basics provided. The bed was so comfortable as was the sofa bed. The bathroom and shower were exceptional with a rainforest shower head and spa shower and different coloured towels for each guest which is a lovely touch! My boys loved the kids play area with trampoline and the outdoor space. We would not hesitate to return. The host treat you like family. Catered to our every need and more. The hospitality of the hosts is extraordinary. The comfort and the design of the studio are remarquable. The breakfast is delicious. This is the place to be between Corinth and Patras, as a base to visit the mountains. The apartment had everything we needed for an extremely comfortable stay. It was clean and the bed was very comfortable. The breakfast was amazing and delicious! Wish we stayed more than one night, it was very hard to leave. In one word - perfect. We had an exceptional experience, amazing hosts that did everything to make us feel comfortable, and top of the line facilities. Highly recommended! Everything. 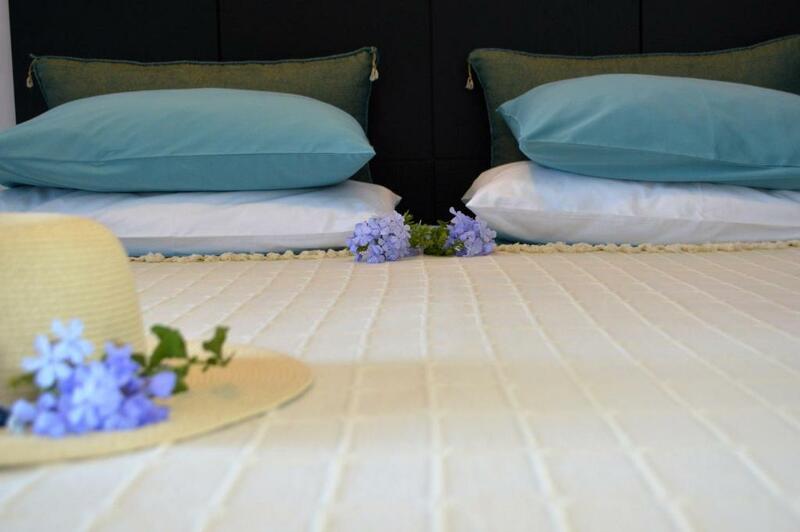 The hospitality is exceptional combined with superb facilities. Nothing is a problem. This was our second visit and will return again. Lock in a great price for Seacret Apartments – rated 10 by recent guests! Located in Selianítika, Seacret Apartments features its own private beach area. a garden, sauna and barbecue facilities. Kalavryta is 36 mi from the property. All units feature a dining area and a seating area with a flat-screen TV. There is also a kitchen, equipped with a dishwasher and oven. A microwave, a toaster and refrigerator are also available, as well as a coffee machine and a kettle. Each unit is fitted with a private bathroom with free toiletries. Towels are offered. Seacret Apartments also includes a sauna. The property also offers grocery delivery and packed lunches. 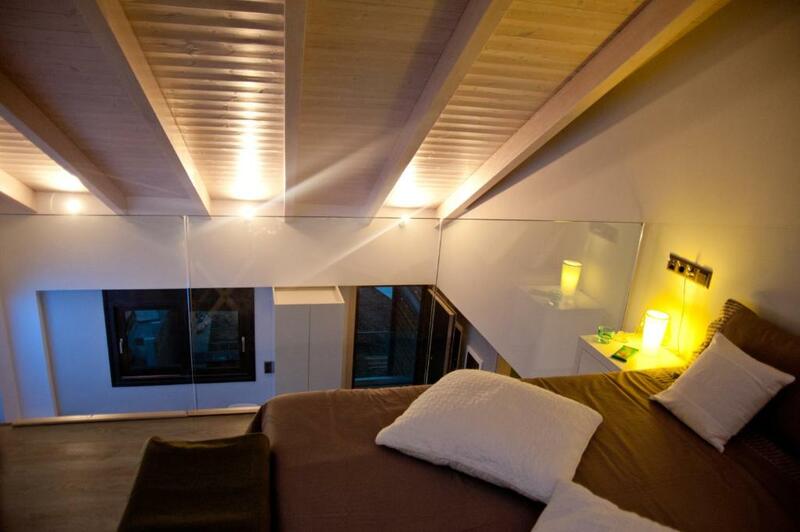 The property has a private beach area and ski storage space and free use of bicycles is available. You can play table tennis at the property, and the area is popular for snorkeling and fishing. Kato Trikala Korinthias is 54 mi from Seacret Apartments, while Patra is 19 mi away. The nearest airport is Araxos Airport, 47 mi from Seacret Apartments. 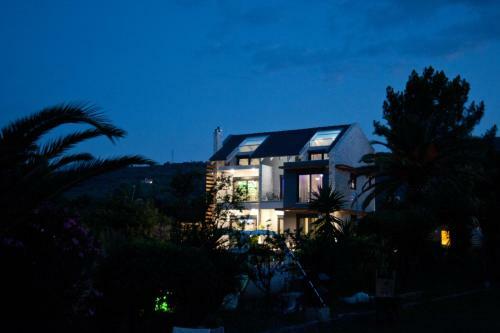 This property also has one of the top-rated locations in Selianitika! Guests are happier about it compared to other properties in the area. When would you like to stay at Seacret Apartments? This air-conditioned apartment features a 40" flat-screen TV, tea/coffee maker and DVD-CD player. A fireplace is also available. This air-conditioned apartment features a 40" flat-screen TV, tea/coffee maker and DVD-CD player. A fully equipped kitchen is also available. This air-conditioned apartment features a 40" and a 27" flat-screen TVs, tea/coffee maker and DVD-CD player. A fireplace is also available and the bed is settled under the sky light window, offering a magnificent view of the stars at night. This air-conditioned apartment features a 40" and a 27" flat-screen TV, tea/coffee maker and DVD-CD player. 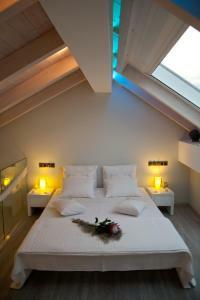 The bed is settled under the sky light window, offering a magnificent view of the stars at night. 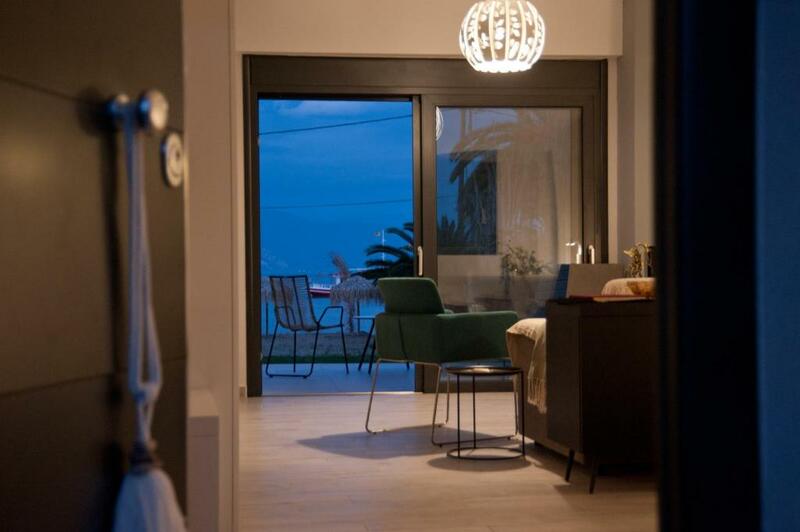 Seacret Apartments is a new complex of four spacious, autonomous and self-catering tourist furnished houses by the sea. Apartments are fully equipped with modern furniture and low-consumption appliances in order to provide visitors the opportunity to meet all housing needs just like living in a contemporary luxurious urban apartment. The complex is placed in a exceptional natural beauty coastal landscape and is perfect for swimming, relaxation, recreation and short daily excursions to archeological places, winter ski slopes and nature exploration trips. Our vision is "the creation of a pleasant experience-memory" and we hope you prove us right. Me and my family are more than happy and willing to assist you in getting to know the natural treasures of Achaia and neighboring areas as well as the warm feeling of Greek hospitality. The place has a magical beach directly in front of apartments. It is also proper for alternative recreation like biking, hiking, Yoga, SUP and canoeing. The beach of Drepano, ideal for surf kite and windsurf is located at 19 km. while the slopes of Kalavryta ski center are 69 km away. The place is ideal for excursions and visits to important sites of religious, cultural or naturalistic interest since the cultural wealth of the prefecture of Achaia is very important having monuments, churches, archaeological sites, cultural events, etc. Very close to the area there are restaurants, diving school, marine for tourist tours in summertime, basketball and tennis courts. Bars-clubs, taverns are alternative proposals for tenants. House Rules Seacret Apartments takes special requests – add in the next step! Please inform Seacret Apartments of your expected arrival time in advance. You can use the Special Requests box when booking, or contact the property directly using the contact details in your confirmation. Everything is perfect when it comes to the apartments themselves. However the environment is not the most beautiful of Greece. You have a marvelous view of the bay of Delphi but the Achaian coast itself is a bit overbuilt and not always beautifully (the Seacret Apartments are much more the exception than the norm). I had great expectations of this accommodation, but after arrival I was completely excited. That was more than I expected. Everything you can imagine you would need is in this lodging. Warm welcome, full refrigerator, wine, fruit, home cookies, bicycles available, table tennis, on a private beach you can use everything you see (and it has everything). It's incredible silence all day long. 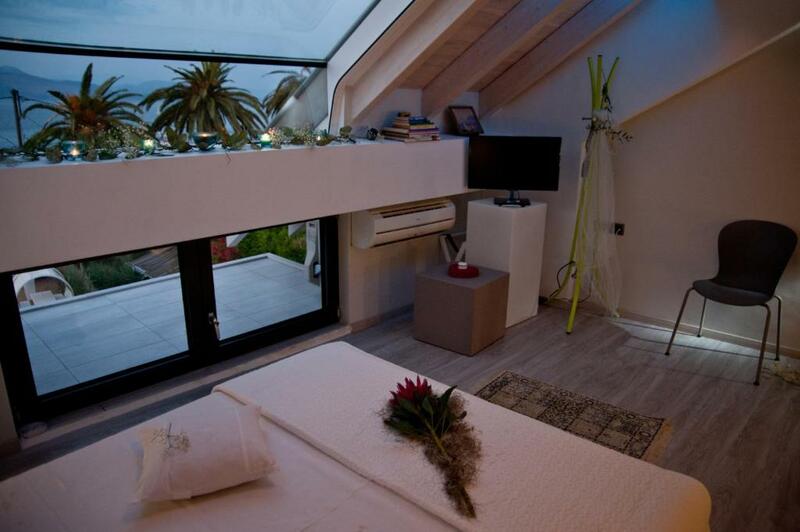 In the bedroom there is a roof window and you can look into the stars before you get into a dream. Also in the morning you can watch the sunrise from the bed. The whole apartment is equipped with such devices, that even after four days I did not figure out how they function. Incredibly. The owners are incredibly kind and hospitable. Behind the house is also an extremely well-organized space. Safe parking, children slide, etc .. Someone has already said it here and I agree, which is that the biggest problem with this accommodation is to leave it. Many thanks to the hosts for giving us a great holiday. An exceptional hospitality and a fabulous location ! This is one of the best places I have ever stayed with my family. The property is located in a very quiet and nice area, located a bit outside from the near village. The rooms are equipped with everything possible that you may think of. Starting with comfortable bed, nice leaving area, new kitchen equipment and ending with some small surprises in the fridge to make your life easier and sweater at arrival. The rooms are airconditioned. The sleeping quality is very good. The balance between indoor and outdoor space is very good. The property itself is luxurious and comfortable. The beach is part of the property and is fantastic. It is really private. Follow the advise of the hosts for food supplies and you will be happy. The hosts are amazingly friendly and helpful. At the end it really felt like we are departing from old friends. I could write a lot more, but it is better that you try it out yourself. It is a perfect choice. If I could give more than 10 than this was my rating to this wounderful place and wounderful hosting family . Stepping on pebbles to enter water. Family friendly layout within walking distance to restaurants. Private beach on your door step. Friendly host at your door step for all requirements.